The gravity of this day is tempered, I think, by this moment, this look between a husband and wife, a private look on the most public of stages. Pride and love. Their partnership brought them to this place. Michelle was the family's main breadwinner for many years, before her husband wrote his first book and got on the bestsellers list, when he was working grassroots, community jobs and as a state senator. What a ride! I hope they still look at each other like this eight (yeah I said it) years from now. This is pretty much the coolest commercial ever. TMobile just recorded this on January 15 at the Liverpool metro station. Flash mobs rock! Totally inspired by the work of Improv Everywhere. 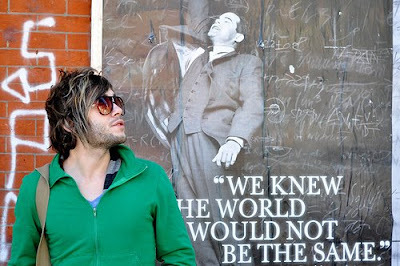 People are strange from Denis Fongue on Vimeo. A really amazing and original illustrative set to my favorite song by The Doors, "People Are Strange." All the art in the video is by Violenn Simon, who created the video as a school project at ENSAAMA School of Visual Communications in Paris. Crush & Lovely Moving Pictures (part of Boom Design Group) created this really neat web film called 50 People, 1 Question. 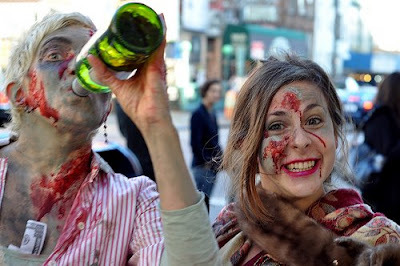 The first segment was filmed in Brooklyn, perhaps around Halloween, judging from the zombies (although you never can tell in NYC, as everyone knows zombies abound at all times of year). 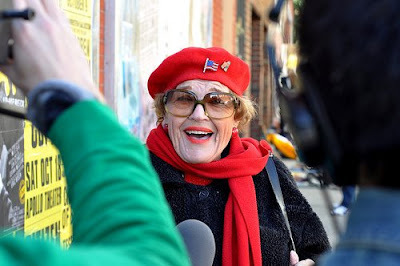 A second segment, filmed in London, is forthcoming. I love the answer of the girl in the aqua head scarf. I thought for a moment she was going to start talking about designer labels, but then she threw a curveball in there. And the kid talking about his dad -- what a sad situation. How gorgeous are these? 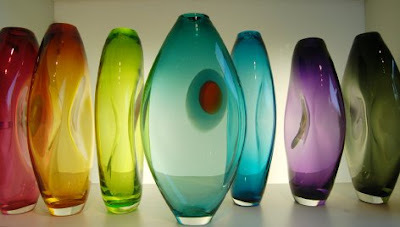 John Pomp Glass offers these stunning pieces, available from Supermarket. How pretty would they be displayed in front of a sunny window? I thought I'd take the opportunity to sharpen my skills at low-light, non-flash photography. The place was loaded with kids, so a tripod wasn't practical. Handheld had to do - luckily the displays for the most part provided just enough light to work by. 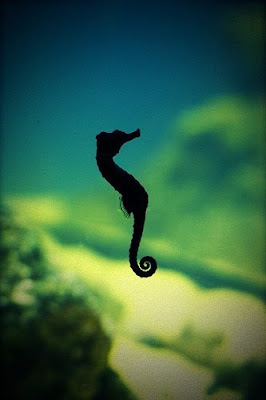 I used a lomo effect on this one to highlight the blues and greens behind this little seahorse.